Lila Walker, 66, of Searcy, went to be with the Lord September 14, 2018 at Searcy Healthcare. She was born January 29, 1952 at Wichita, Kansas to the late Alfred and Loree Moon Williamson. Mrs. Walker was a strong willed woman, but very loving and caring to everyone she met. She enjoyed thrift store shopping as well as animals. She loved her children and grandchildren dearly, but most of all she loved her Savior. In addition to her parents, she was preceded in death by a twin sister, Twila Williamson. 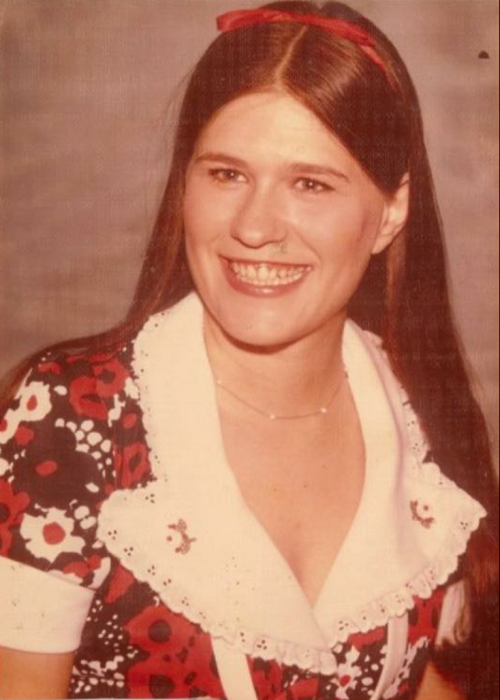 She is survived by three daughters, Teresa Verge (Travis) of Bozeman, Montana, Jennifer Hamblin (Micheal) of Searcy, Arkansas, and Natalie Ingram (John) of Rescue, California; six grandchildren, Justis, Jordan, Nevaeh, Johanna, Noah, and Easton; three sisters, Terry Braake of Cameron Park, California, Marilyn Sanchez of Oklahoma, and Georgia Cain of McAlester, Oklahoma; as well as many extended family and friends.